When Should My Child Start Losing Their Baby Teeth? According to the American Dental Association, your child should start developing their primary “baby” teeth between the ages of 6 months and 1 year old. By the age of 3 most children have a full set of 20 primary teeth. Baby teeth’s lifespan is short, most kids start losing their baby teeth between the ages of five to seven years old. It’s not that rare; however, for a child to start losing their baby teeth at four years old. Some experts claim that girls lose their teeth before boys. Dentists are unsure why that is, other than that girls tend to develop a little faster than boys. What Causes Baby Teeth to Fall Out? Naturally, baby teeth fall out when your child’s adult teeth are ready to come in, causing the baby teeth to get loose. When the adult tooth in the gums is ready to come in, it “pushes” the baby tooth out. 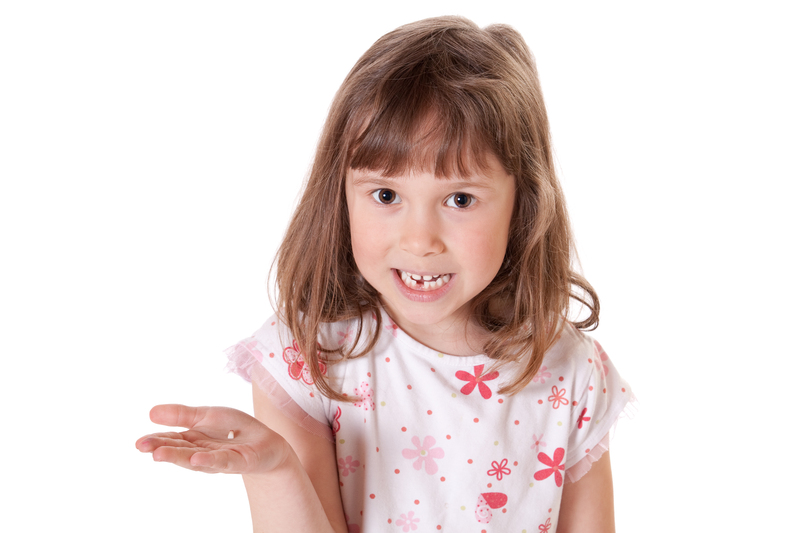 Oftentimes when children lose baby teeth early it’s due to trauma such as a fall or being hit in the mouth. If it is one of the front teeth, known as the incisors, and there are no signs of trauma or decay, there is no need to be alarmed, they tend to fall out first. Should I Pull It Out? Often times parents wonder if they should pull out their childrens loose teeth or if they should let nature take its course. Some parents have moved on from the string-around-the-door-handle maneuver of extracting their child’s teeth and have found some very creative means to yank their kids baby teeth, including using a rocket, a javelin and a bow and arrow. Mosts dentists recommend not to yank any loose teeth. If your child insists you remove it, grasp the loose tooth with a kleenex or piece of gauze and attempt to pull it with a quick yank and twist. If the tooth doesn’t come, don’t force it, let nature take its course and wait a few days. If you’re concerned about a baby tooth that doesn’t seem to be loosening or feel that it should have already come out, contact our office to see if we have any recommendations or if the tooth needs to be professionally extracted.